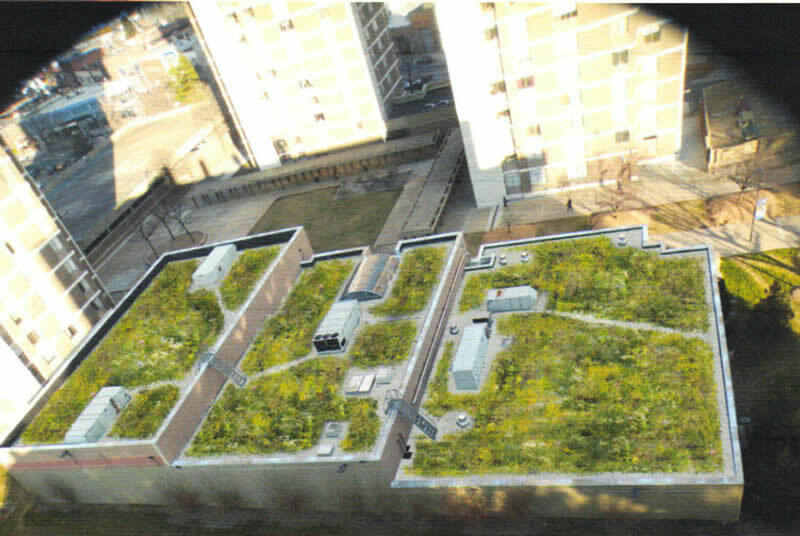 The initial phase Falk Athletic Center's "Green Roof Project" at Albert Einstein College of Medicine transforms a typical roof system to a green roof without modification to the existing roof structure. 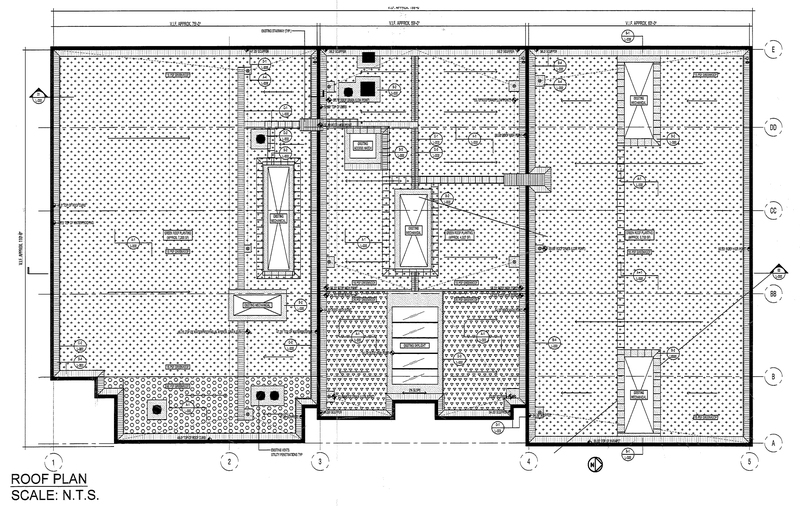 The project will reduce radiant heat loads on the roof, by increasing the thermal insulation of the roof. 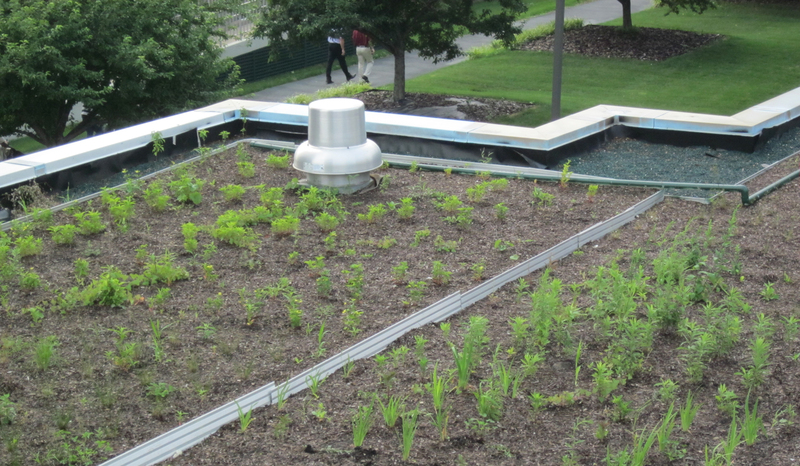 There is a noticeable savings in energy, and costs for cooling and heating, while introducing less storm water into the NYC storm water system for processing. 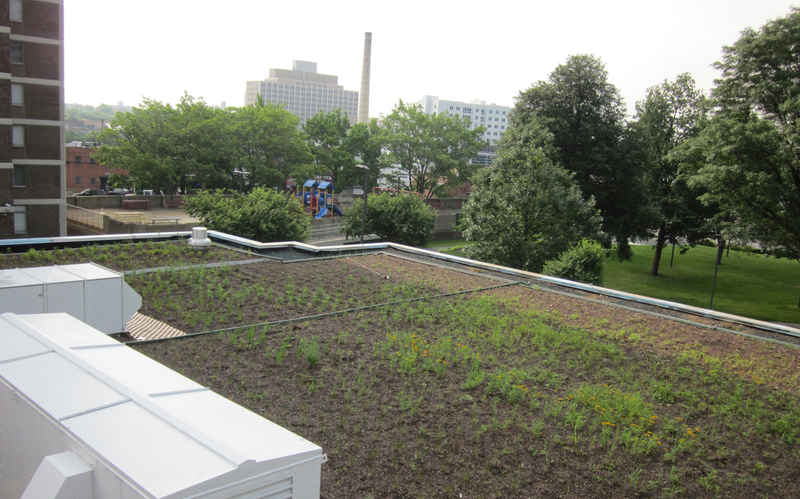 The green roof system utilizes a new type of "rubberized" membrane specifically designed for this roof system. A light weight "GAIA" soil mixture has been provided to retain storm water and to provide the growing medium for indigenous plants. Migratory birds find the new roof system as a safe haven, and when seen from the neighboring residential towers, it is aesthetically pleasing. 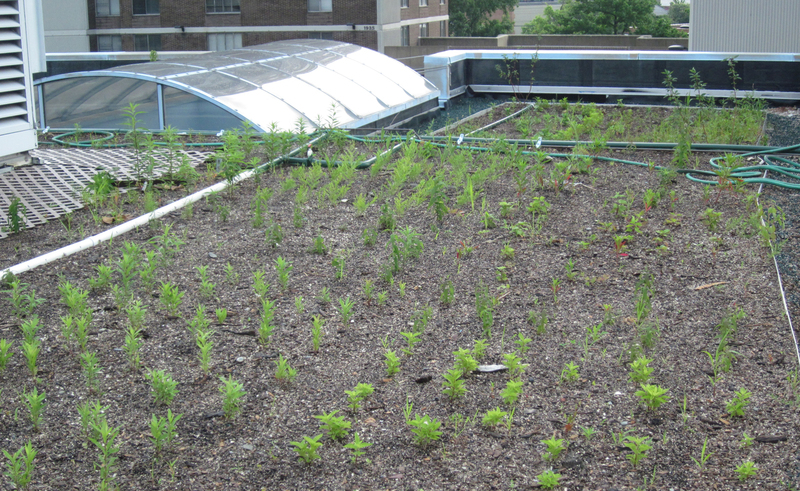 There is also a utilization of the athletic center's pool backwash to be recycled into the roof's gardening system.